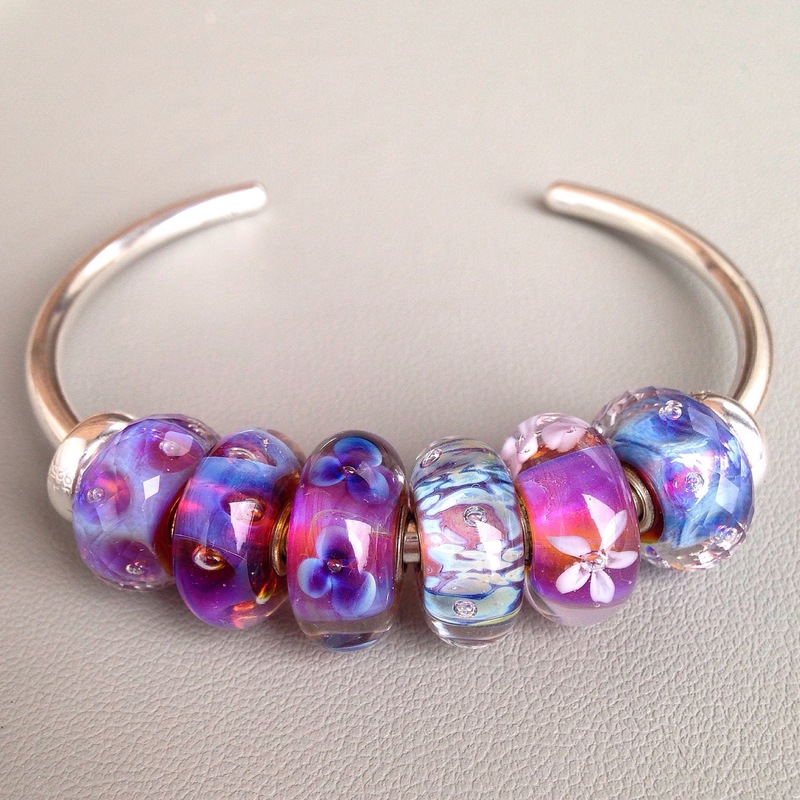 The Aurora beads that Trollbeads makes are a favourite of mine. The first one I got when it came out as part of a set with the bangle. That’s just when I was starting to collect beads, so it worked out well. It’s the one on the left. I love how there are shades of purple and blue and even yellowish/gold, depending on the light. Next to it is the Aurora Flower, then Moonlight Bubbles and Sea Anemone. 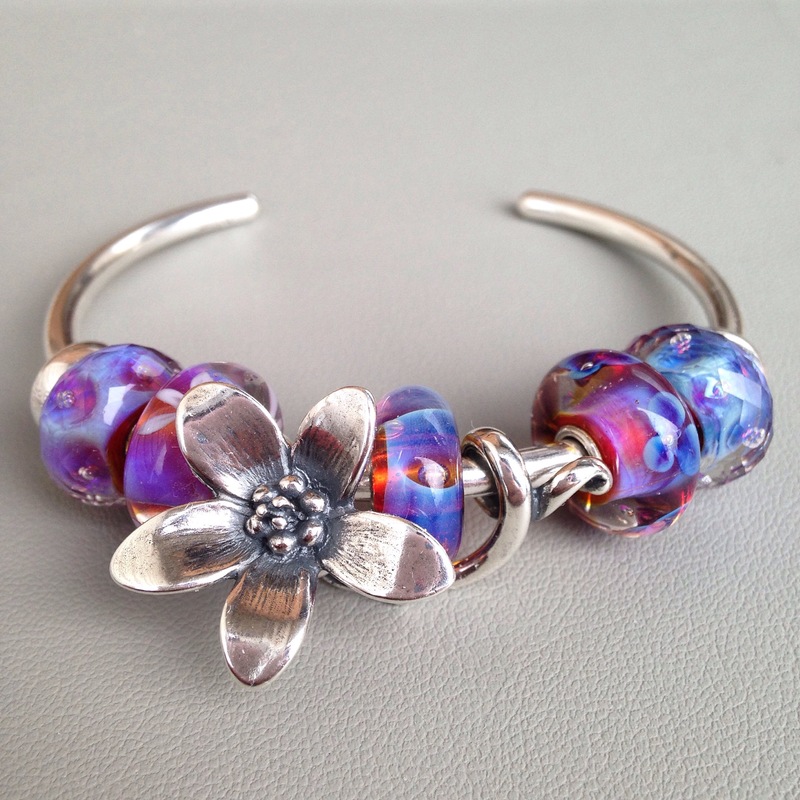 A couple of years ago Trollbeads came out with a starter set called Stories of You. 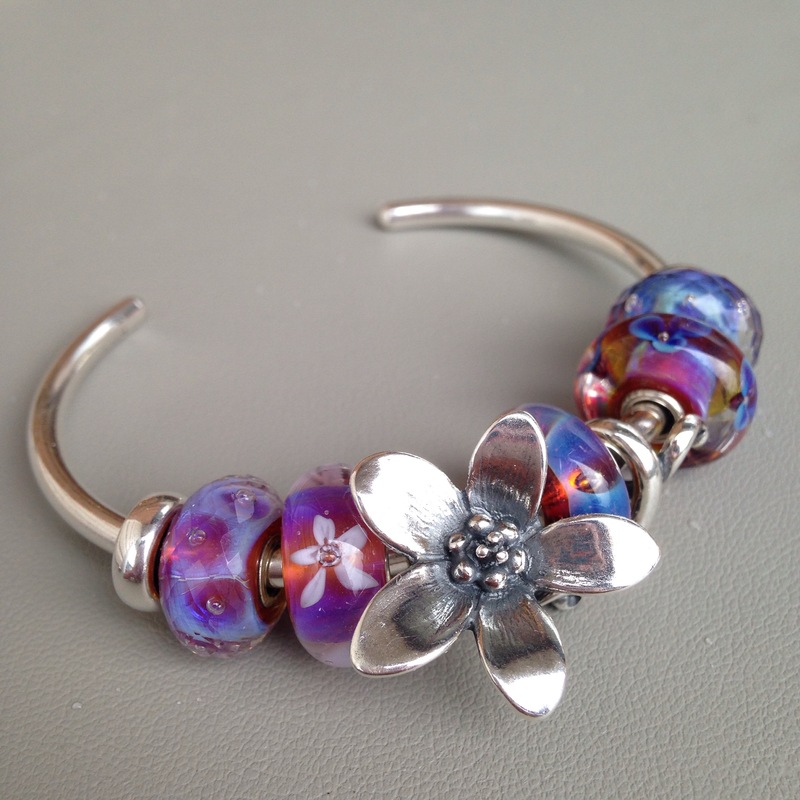 It came with this lovely lock and a faceted Aurora bead. I was able to pick it up last year at a bargain price from a shop that was discontinuing the line. Then, I came across a single bead for sale with quite a blue colour at another, tiny independent store. I was super excited to find this one! Here are all the beads on a bangle. 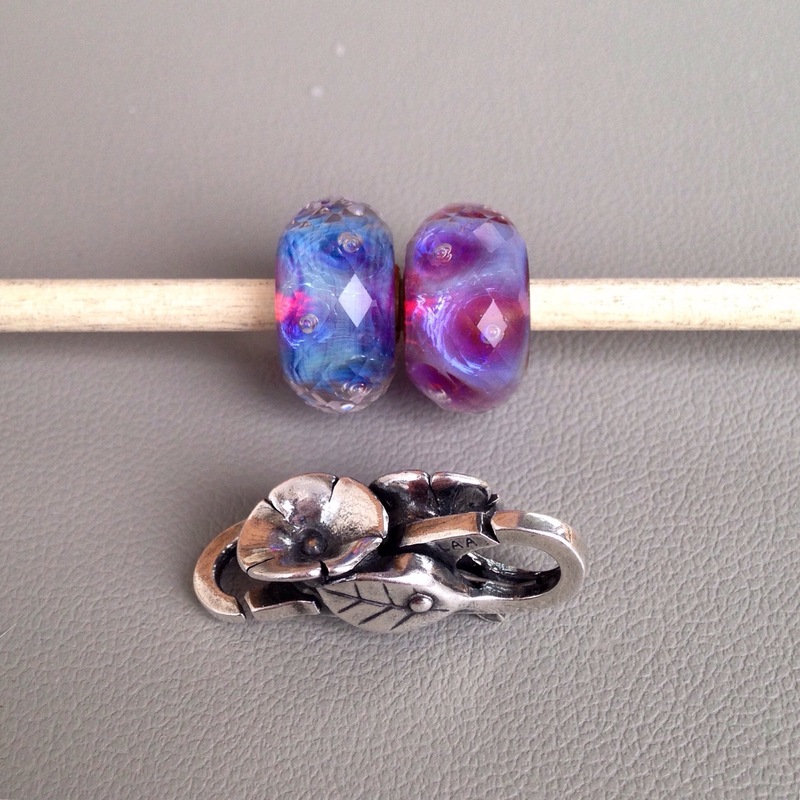 Lastly, here are a couple of photos with with Trollbeads Anemone Pendant. 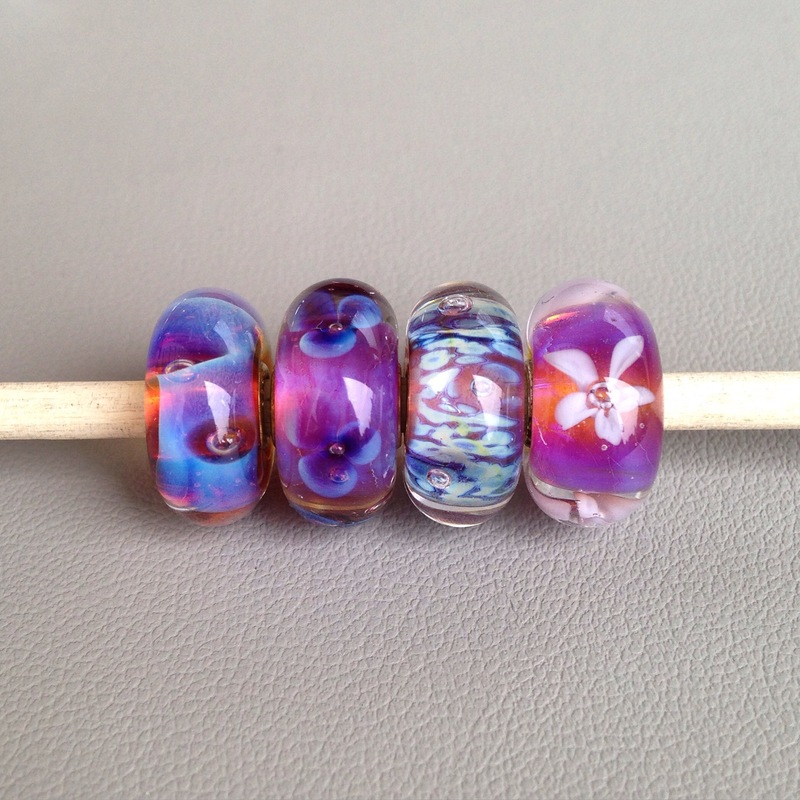 Are these beads a favourite of anyone? Oh, and pardon the rain drops on some of these photos. I try to take all my pictures outside and it was just starting to rain! Thanks Natalie! Yes, I’ve noticed that the Blush Vortex is a similar colour. They’re the kinds of beads we can stare at for quite a while, I think! Be careful if you start buying Troll glass–it’s a tough addiction to control, lol!